Enjoy a luxurious life at Rohan Iksha, Bangalore! Rohan group’s new project Rohan Iksha is a treat to eyes with its amazing concept of 360° view meaning from wherever you look out you’ll always get to see a veritable feast for eyes. Spread in the lush green nest of 8.5 acres, and is located in posh area of Bangalore. The first phase has opened one building with G+14 floors with 2 BHK, 3 BHK, 4 BHK flats, and Studios and Rohan Iksha price is very affordable. To give a luxurious feel at home the main door has polished veneer on both the sides. The internal doors are made up of moulded internal; flush doors and balcony doors are made up of PVC. All the fixtures and fittings are made up of premium quality and the UPVC windows come with mosquito mesh. Dedicated space is provided for fixing the water purifier. The utility area has been facilitated with the water line and drainage and 3 feet dado has been provided with ceramic flooring. The master bedroom is provided with wooden flooring while the other rooms are floored with vitrified tiles and matching skirting. The bathrooms have been equipped with counter top wash basin with marble or granite. Living up to its standards, Rohan Iksha Bangalore comes with all the basic and modern amenities including a landscaped garden with children’s play area, multi-activity courtroom along with a separate squash court, swimming pool and gymnasium with all the modern equipment, and a state-of-the-art clubhouse with indoor games room. 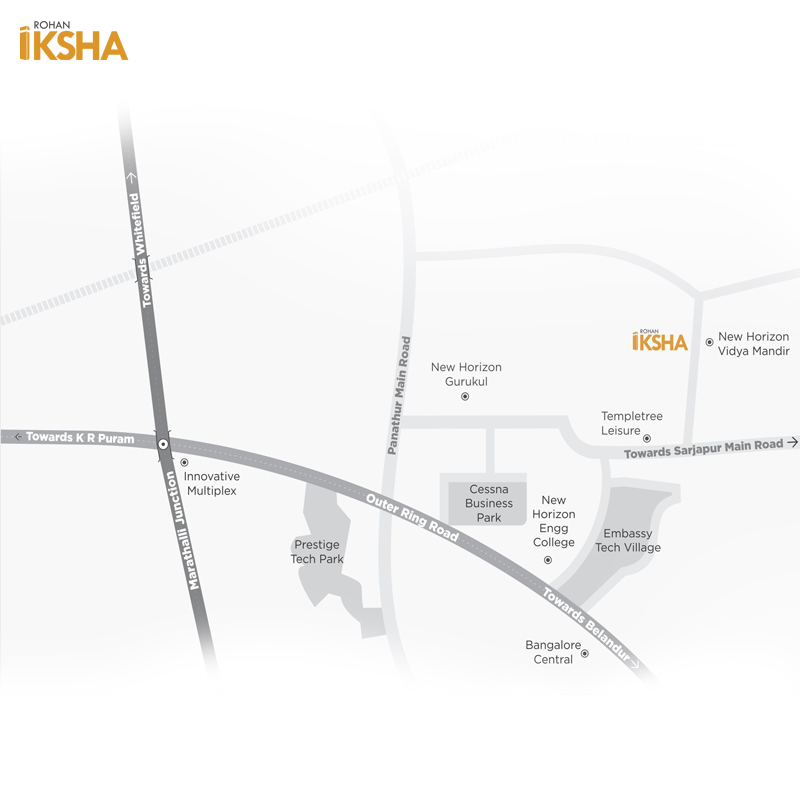 Rohan Iksha Bhoganhalli is strategically located just 8 km away from the railway station and 32 km away from Airport. It is very close to Central Mall and The Oasis Centre and in its vicinity; it has Global Technology Park, Stanford Speciality Hospital, Apollo Hospital, and St Peter’s High School. The area is well-connected to all surrounding areas of Bangalore. Rohan builders which started in 1993, today is a team of more than 1000 professionals, with the projects sprawling over 15 million sq. ft. Consistently rated as DA2+ by CRISIL for the past 10 years Rohan Group has created a name for itself in the Real Estate market. Quality and timeliness are the key features of Rohan Group. The company’s latest creation Rohan Iksha Bangalore is one of a kind. So hurry and book your home now! KITCHEN - Granite platform with SS sink. DOORS - UPVC doors for the balconies. 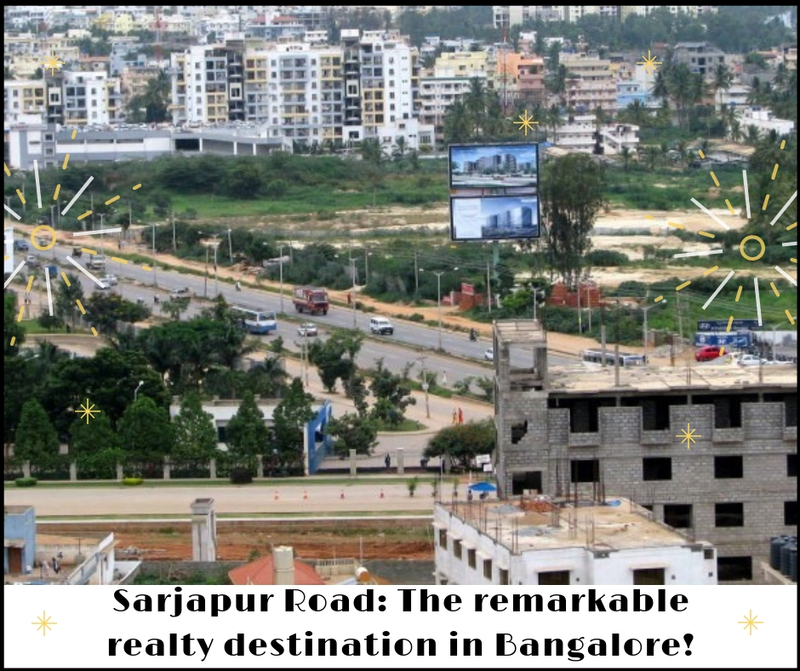 Located at Boganhalli, Sarjapur Outer Ring Road, Bangalore.